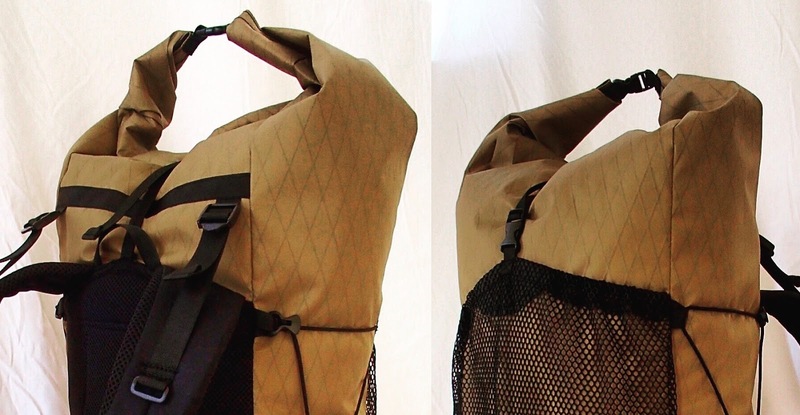 Lightweight and durable backpacks from a simple and rational building. Concept: minimal accessories well placed for maximum efficiency! 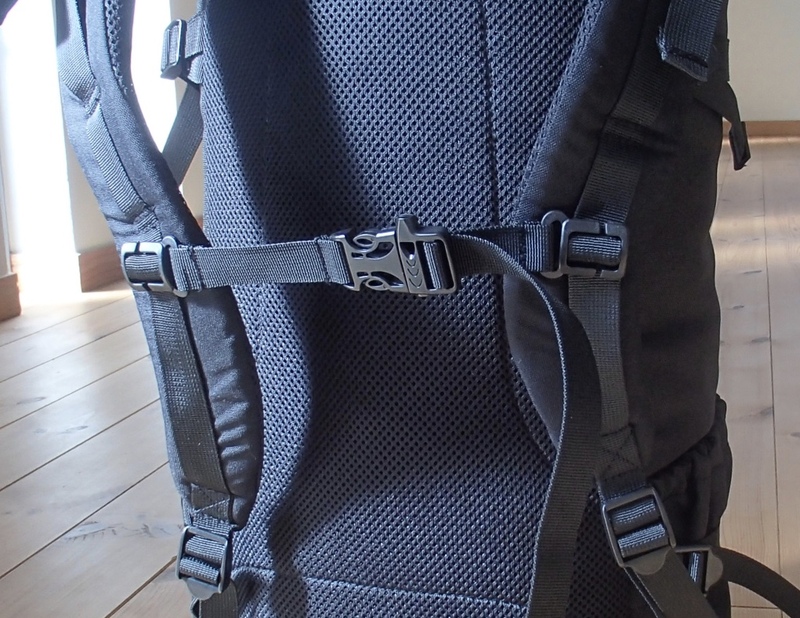 shoulder strap are made of black cordura 330D by default. Innovative fabrics, the weight / resistance ratio optimized for safe and sustainable using. A large main tube simple and convenient to use. 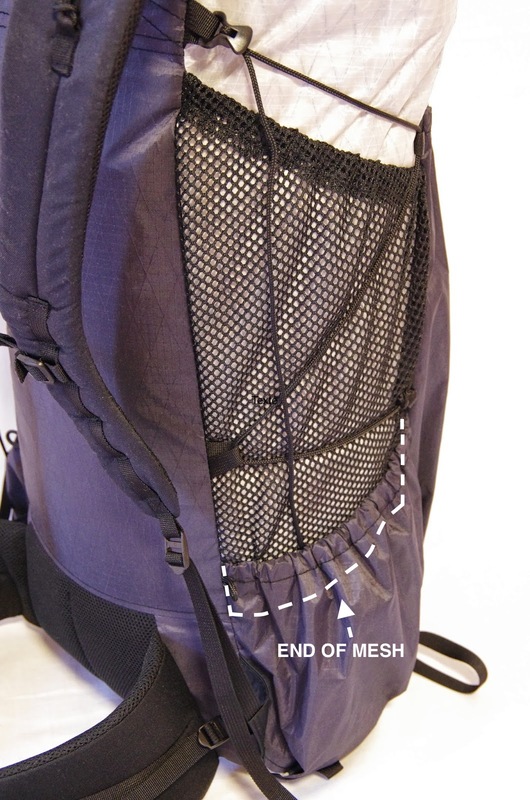 A large front pocket 5L (10L in "cargo" option) , made in strong mesh by default (175 gr/m²) or fabric in option (Fit mesh bottom part to drain water), to store shelter, clothing or other items even wet. 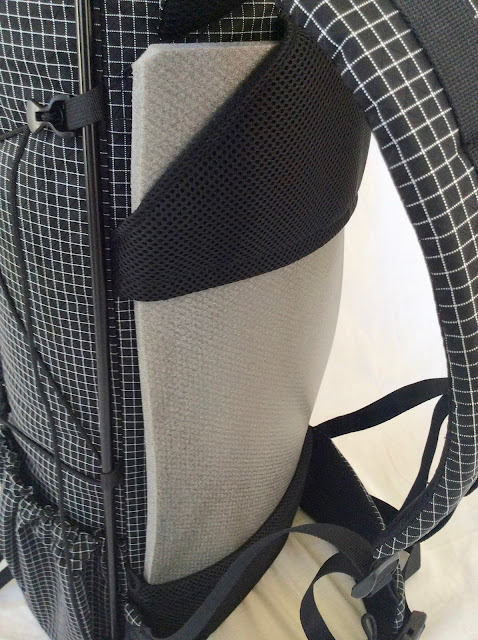 Shoulder straps (12 mm X 65 mm width): Since March 2018 new 10 mm foam, more thick for confort and with more density for durability, covered inside by 2mm 3D mesh, light, strong and very comfortable. 20 mm daisy chain included on shoulder strap for every packs by default (-7 gr if you want to remove). A wide padded belt (KS 40/50) with new10 mm foam covered inner side by 2mm 3D mesh, very comfortable and provide good load report on hip (with 25 mm webbing by default). 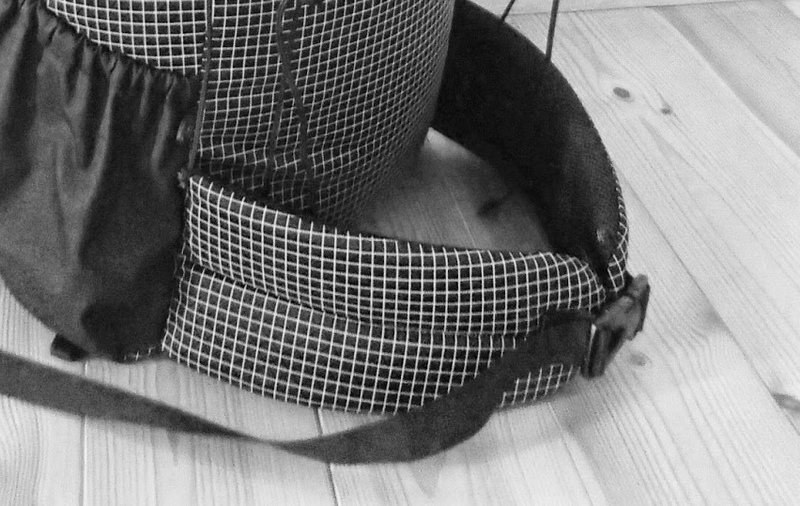 The padded part size is the same for every packs, the webbing strap length is adjusted according to customer waist size. A system of lateral shock cords, simple, light but very efficient (two 3 mm cord x 80 cm = +8 gr) / by line locks , 12 loops in total include on the front pocket to allow shock cord lashing. 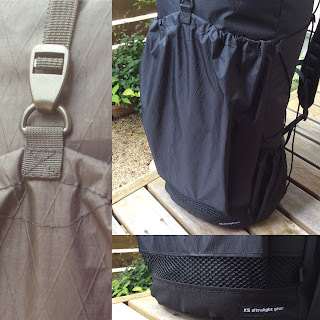 Top closure by simple and convenient by draw cord and 13 mm webbing strap, which is fixed between the start of the shoulder straps to the front pocket making load lifters effect . 13 mm webbing Sternum strap adjustable and removable ( +10 gr) . 6 bottom additional loops in option. 2 removable waist pockets for all models in option. 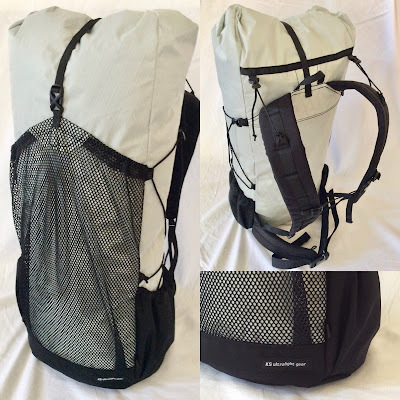 Note: KS 50 is the most versatile: highly compressible for almost same weight and price. or check and choose other CUSTOM color here: X-pac fabric for body. For bottom, Shoulder strap, padded waist and side pockets, 330D cordura black fabric is used by default, change are possible by Option here. Nylon Spectra is also available for bottom, side pockets waist belt and shoulder strap here:option. 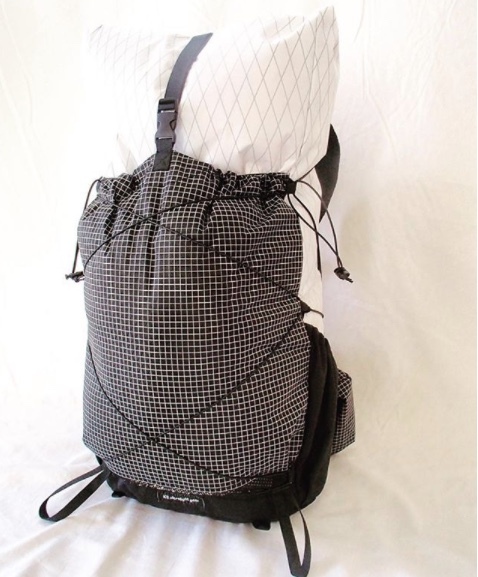 Note: Although the X-pac fabric is waterproof, we can not consider the pack waterproof because the seams are not sealed , some water could enter by seams. 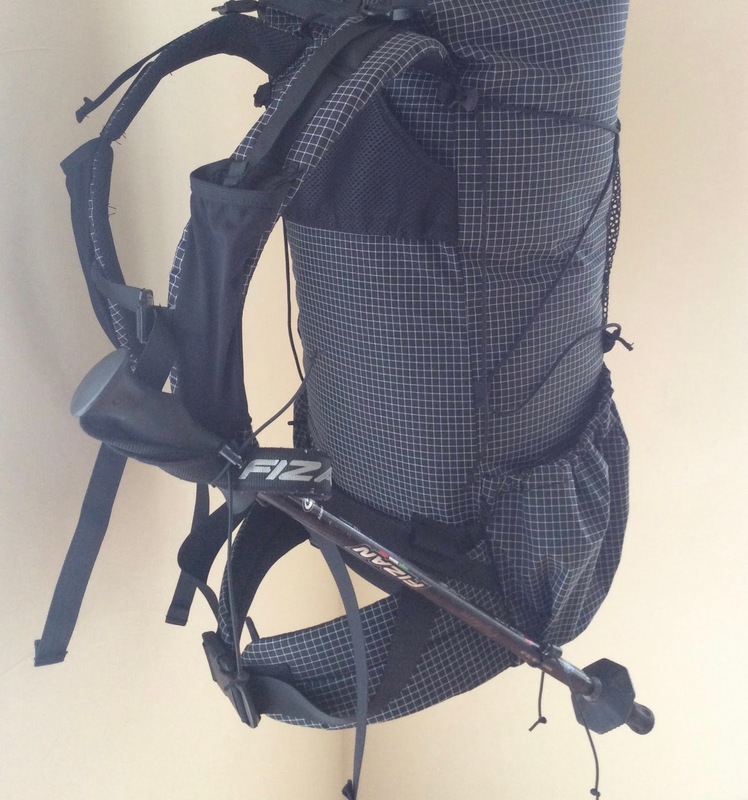 I suggest to just use pack liner or dry-bag for your essential like majority of hikers. 2 liters bottle in KS 50 pocket in PIC. Side pockets compact and easily accessible even the pack worn. Fit side shock cord to maintain taller items, up to 3L water pouch for Ex. 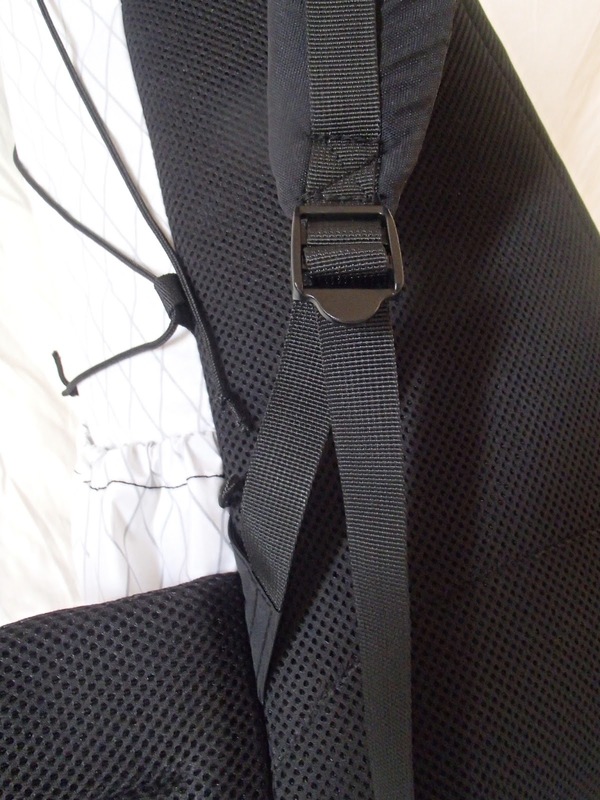 covered by 13 mm compression strap. stronger than 13 mm buckle for same weight. 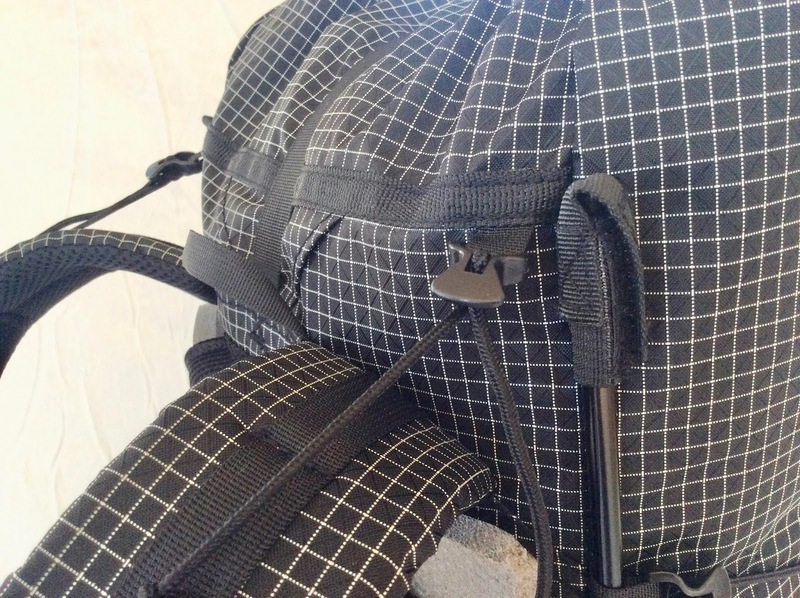 6 front loops and bungee cord are included by default. no loops at top and low part in those cases. with strong mesh at the bottom to drain water. 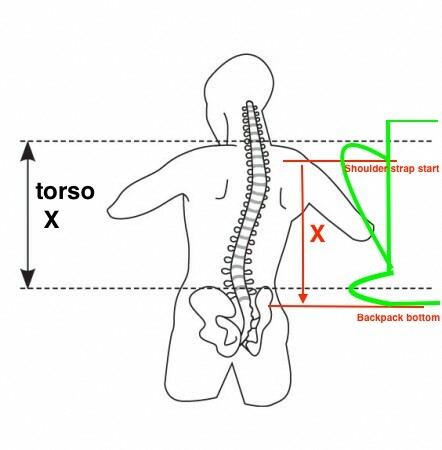 And measure your usual backpack to be sure, bottom of the pack up to start of shoulder strap X.
Intersect the result of 3 methods to be sure. The weight of backpack are estimated with a a medium belt (for 90 cm usual pants belt) without accessory (sternum strap, bungee etc..) and without options. Maximum pack collar length = 70 cm, if you wear 53 cm or 56 cm torso size, consider 10 cm extension collar option bellow. Fit 1 elastic cord and 1 cord lock/hook by loop, add 5 gr for one. Size: 5X19X12/9 cm with waterproof zip and 1 key holder hook inside (one/pair). 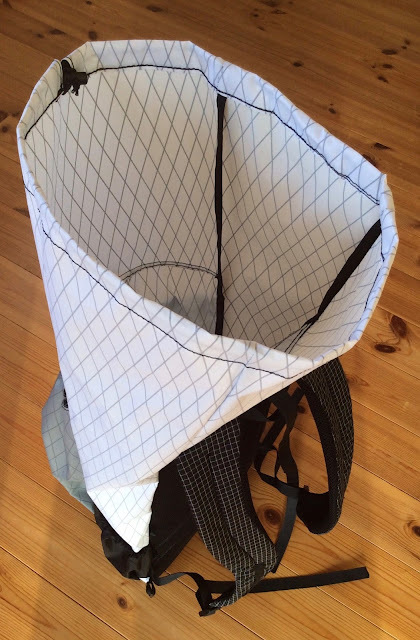 Hole for hydration pipe (with inside hook) and water pouch pocket options for 35 cm X 17 cm X 7cm size water pouch. Placed at center, allow right or left pipe way out. Back in mesh 3D add 60gr approx. Large belt option 38 mm with dual Adjust Side Release Buckle (in place of 25 mm default) for confort and better load report on waist. 20 mm removable (height adjustable) air sternum strap with whistle, weight 18 gr but add only 8gr from standard default 13 mm sternum strap. The backpack don't turn waterproof with this option. Sit pad size around 25 x 50cm (rectangular since March 2018) according to your back length size, in durable ( Made in Japan) PE foam, 10 mm, color grey. Using with removable pad, make the back of the pack more comfortable and more rigid. Pad in option, shaped according to your back size in white PE foam 8 mm. For frame less pack the load lifter system work well only when the pack is full. 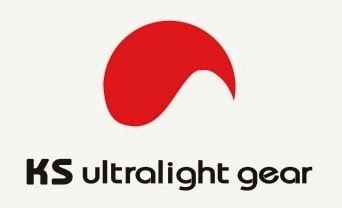 Should be made from lineloc and rigid cord for UL pack . ﻿Cord add 9 gr , 20 mm add 17gr. The 2 solutions works well, the cord may be changed when degraded, the 20 mm webbing strap is more durable. For better load transfer on the hips, mostly slim people (Only waist 70 cm up to 84 cm) included 38mm webbing and buckle option, add around 40 gr. Not compatible with the Sit Pad pockets option but compatible with the Internal pad pocket option Fabric : Black 330D by default. 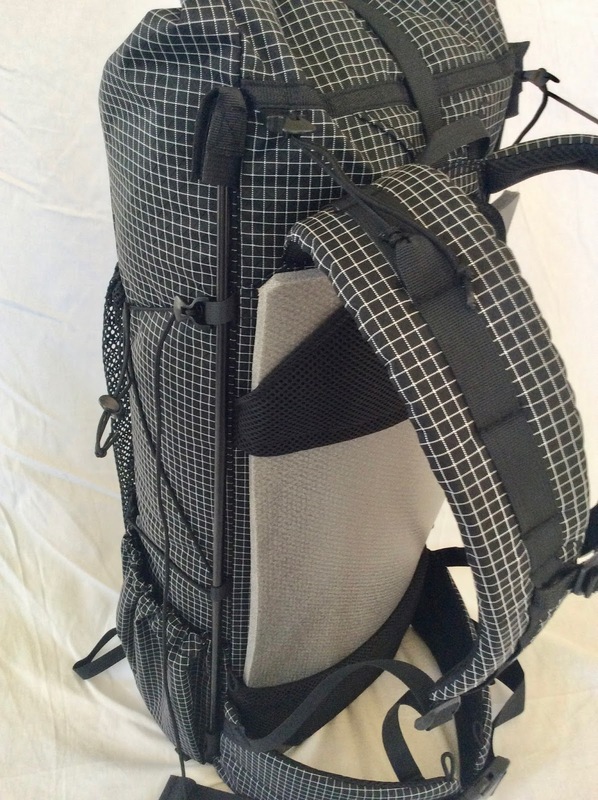 Also compatible with the frame set option and side removable waist pockets. add around 30 gr in strong mesh or fabric. A good UL alternative if you don't use your rolled pad to create a frame in your backpack and to optimize load transfer on hips . Easily removable (10 sec) frame aluminium tube, weight according to your torso size around 50 gr (tube) + 10 gr for fixed loops. Associate with 38 mm waist strap/buckle option is recommended. Associate with load lifter strap or cord option is also recommended. This option is compatible with backpack: KS packs, Alpisack, R-50, and all options even anatomic padded hip belt option. Recommend to use with your sit pad in back, extern or intern, to keep the back of the structure. 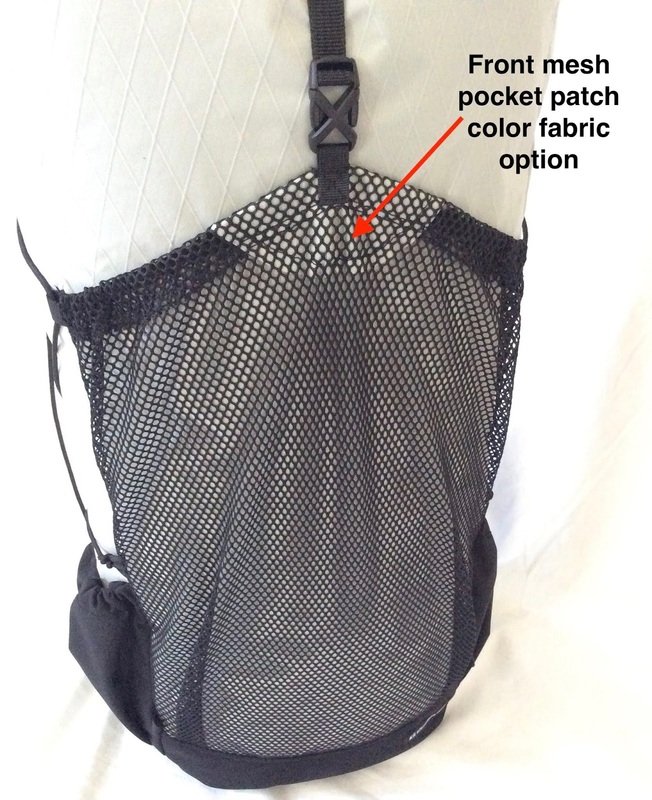 By default fit strong mesh at the bottom of pocket to drain water for fabric finish. Available for standard mesh pocket and fabric pocket. Hand pull loops are made to insert the thumb on the loop to pull and relieve shoulder part. Add around Fix 10 gr/pair (Removable mean you can put off the loop when no needed) Removable 15gr. Useful if you planned to carry big item like bear canister, in other cases, standard close by 13 mm or 20 mm strap is enough efficient even for rolled pad. By default, KS 50 total length (collar full opened) is 80 cm, 75 cm for KS 40, 70 cm for KS3 . 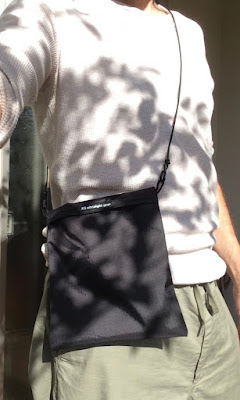 (Fit New velcro (Dec 2018) with soft touch, not agressive for skin and witch almost no stitch on other fabrics)Weight 22 gr The backpack don't turn waterproof with this option. Weight 14 gr ,17 gr or 20 gr according to bottom size.